You’ve probably heard about this a lot, but the importance of strong passwords really can’t be understated. Unfortunately, a lot of the “common advice” you’re probably following isn’t doing you much good. If you’re thinking, “We’re a small business. What aren’t a multi-billion dollar company… They won’t target us,” think again. With small businesses, the risk to a hacker is lower. The reward may be smaller, but the odds of success are better. And they prey on that exact false sense of security. In fact, according to the 2017 State of Cybersecurity in Small and Medium-Sized Businesses by the Ponemon Institute, 60% of small-to-medium-sized companies rely on passwords to reduce attacks, yet 68% of those who use passwords do not enforce strong password policies. Data breaches range dramatically in cost, with average estimates anywhere from $130,000 to $1,027,053, depending on the size and scope of the data lost. Not all of those breaches were the result of poor password practices, but is that really a gamble you want your business to take, especially when 51% of SMBs experienced a ransomware attack (successful or unsuccessful) in 2017? Don’t panic. We’ve got you covered. We’ll touch on the myths surrounding strong passwords and the better practices you can use that will keep your information safe. Here’s the thing: Crackers (programs that are designed to crack passcodes) are programmed by people. So if it’s something seemingly obvious to you, it’s not original, and it’s probably a strategy that’s been implemented in a hacking program. Your street name, your high school graduating year, your favorite number, the year you were married, the color of your car, the name of your children, etc, all of those are things hackers first try. And using 1’s for i’s and @ for a’s? That’s also out. Take a peek at some common passwords and formulas to avoid. Another major issue with password safety? Best practices that were widely touted for password strength even just a few years ago are now outdated. As technology gets faster and smarter, so, too, must password strategies. Additionally, major password leaks only help hackers get smarter by revealing the patterns people use to create personal passwords. Passphrases don’t simply mean stringing words together. A method that was popular a handful of years ago, the XKCD strategy, insisted that the best way to remember a longer passphrase was to string nonsense words together. The novelty of those words was supposed to make them harder to forget, even if that made the passphrase longer. However, dictionary words are easily sifted through with powerful cracker programs, making that nonsense string of words hardly effective. Cracker programs use English words (and more). In ARS Technica’s experiment, with brute force approaches alone, one hacker was able to solve 62% of a leaked password list in just 2 minutes and 32 seconds. Another common strategy most passwords adhere to is a Root + Appendage formula, where the root item is often a pronounceable word (not necessarily a dictionary word, however) and the appendage is either a suffix (90% of the time) or a prefix (10% of the time). This is a terrible strategy, as hacking programs look for this, too. Please avoid. But studies show that most people can remember up to 9 elements before they start to forget. Despite the fact that George Miller’s study was published all the way back in 1956, his findings are still relevant today. The Magic Number is 7 (plus or minus 2). However, chunking information is a good way to hack this brain fact; when you group things into memorable chunks, you can remember more than the standard 7 individual elements. Another example of memory chunking is to use the method we refer to later on in The Magic Formula section (link to anchor in article). Don’t change your passphrases every 90 days. In fact, this advice has been debunked in the field of cybersecurity, by reputable figures among the likes of Bruce Schneier. (If you don’t know who he is, look him up. He’s kind of a big deal.) If you don’t mind falling down a rabbit hole, Schneier has tons of blog posts (no exaggeration) on passwords alone. The more often you change your passphrases, the lazier you tend to get about it. Most people stop coming up with novel ideas and instead start tacking on numbers or symbols, which are one of the first variations hackers attempt when they know your previous passwords. This is what technologists refer to as transformations, and they’re incredibly unoriginal and easy to break. In fact, according to a study done in 2010 on The Security of Modern Password Expiration, 17% of online hacks using transformations were successful in as few as 5 attempts. For offline attacks, the success rate was higher at 41% success in three seconds. Yes, it’s easier. Yes, it saves time. Yes, you don’t have to remember a billion different passwords for that. But unfortunately, the ability to crack those stored passwords has been pretty easy in the past. While Google has since upped its security, it’s a good idea to consider a password manager. 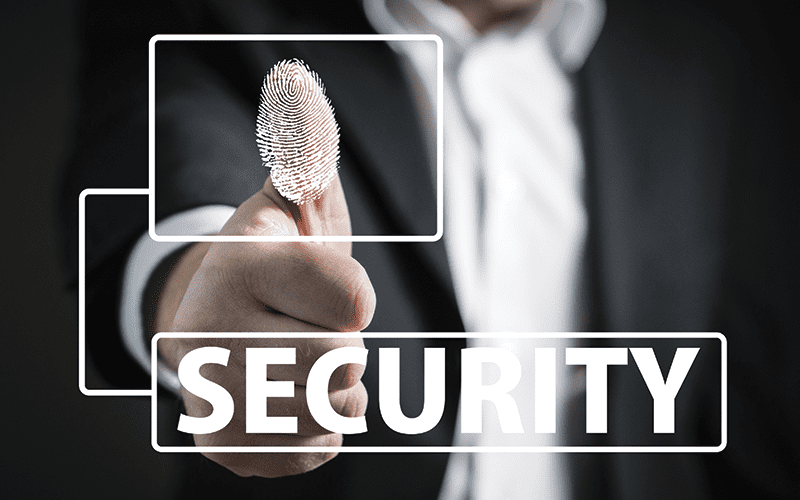 While they may too be at risk for breaches from time to time, a good password manager takes protective caution, including masking your password from even their ability to see. If you’re curious about a password manager, this article has some great suggestions. The liability lies with your master password. Utilize The Magic Formula to ensure that this is strong and difficult to hack (but memorable). As our devices become ever smaller, typing in passwords over and over gets really annoying. Don’t sacrifice your safety and security over that annoyance. With the rise in IoT devices, this becomes an ever-looming issue you should be incredibly watchful over. Don’t get lazy; protect your IoT and do your research on devices before you purchase them. Add symbols and numbers. TPpF#hwa2Tn! Schneier is an advocate of password managers and 2-factor authentication where possible, and we tend to agree with him. If you’re looking for some strong password managers, this article has a few suggestions. Passwords are often an afterthought when the average person thinks about cybersecurity. These keys are incredibly valuable to hackers because they tend to open up an entire realm of personally stored information. Don’t make their job easier. Be smart about your passwords. Don’t reuse passwords for every site (we know it’s annoying, but just don’t, especially for business-related accounts). Implement the Schneier Scheme. We want to keep you safe.